In the party mouthpiece Saamana, Sena chief Uddhave Thackeray has attacked PM Modi criticising the rollback of GST rates. 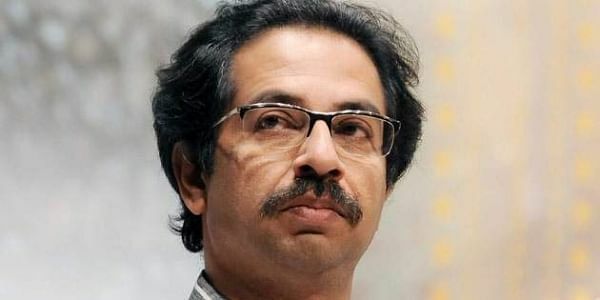 MUMBAI: The rollback of Goods and Services Tax (GST) rates is an attempt to influence the Gujarat elections, Shiv Sena President Uddhav Thackeray said in an editorial of his party mouthpiece Saamana on Monday. “GST hit hard the poor people and small and medium traders. That led the traders to the streets. The government bowed only when the rulers realised that spending huge money won’t fetch them enough votes,” said the editorial. Thackarey wrote that the rhetoric people were listening to till yesterday was that common people have supported the GST and only those traders who didn’t want to disclose their real income were opposing it. “And now, they have taken a complete U-turn. The ruling party and some of the ministers had gone to the extent to call the skeptics the traitors. People have now taught them a lesson,” the editorial observed. The Sena chief argued that the government, which was not ready to listen to anything against the GST, has now rolled back and brought down 177 goods from 28 per cent slab to 18 per cent slab. “They are now blowing the trumpet about how their efforts have benefitted small traders. But the real reason behind the rollback is that several villages have banned the entry of BJP workers. They are being prevented from addressing press conferences. Their posters are being brought down at all nooks and corners. Amit Shah had to come down for the campaign, while Prime Minister Modi would be addressing 50 rallies. Several chief ministers, from Maharashtra and other states, and Central and state ministers would leave their duty and will be seen camping in Gujarat for the next few days,” Thackeray wrote. “Hence, we say that the GST rollback is just aimed at wooing back the small traders. The GST toppled small household budgets; yet, some people chose to ignore it and instead blow trumpets of the defaced economy. They are the real traitors and they have to be prosecuted for taking the country to economic doldrums,” Thackeray said in his editorial.